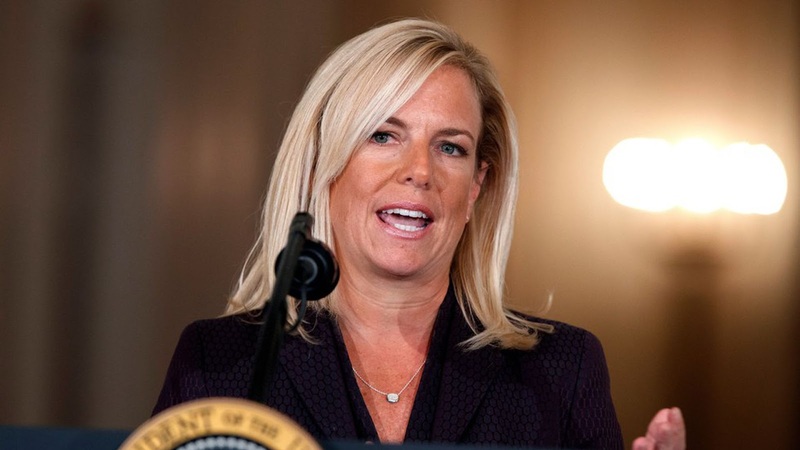 President Trump is planning to oust Homeland Security Secretary Kirstjen Nielsen as early as this week, The Washington Post reported on Monday. Five current and former White House officials told the Post that Trump is planning to remove Nielsen as soon as possible. White House chief of staff John Kelly is reportedly fighting the president on the matter, hoping to keep Nielsen in place. Kelly hired Nielsen as his chief of staff while DHS secretary and has reportedly defended her for months. Trump has berated Nielsen in public and in private since she was hired, aggressively going after her during Cabinet meetings and mocking her in conversations with other White House officials, the Post reported. Nielsen has reportedly told confidants that she is unhappy in the position. Aides told the Post that Trump does not seem to understand the nuances of immigration policy, creating a rift between himself and his Homeland Security secretary when Nielsen tries to explain the challenges posed by some of his proposals. Trump has grown frustrated with Nielsen when she reportedly tells him that some of his hard-line proposals, including completely shutting down the border with Mexico, would not be feasible. Nielsen's departure would be the latest in a string of high-profile Trump administration exits, including Attorney General Jeff Sessions. Sessions resigned last week at Trump's request. Nielsen came under widespread scrutiny over the summer when reports emerged that the administration's so-called "zero-tolerance" policy had resulted in the separation of thousands of migrant children from their parents at the Southern border. Nielsen vigorously defended the policy in public, drawing the targeted ire of immigration activists and top Democratic lawmakers. Some critics called for her immediate resignation. Trump later signed an executive order ending the practice amid heavy bipartisan pressure. The Democratic Socialists of America’s Washington, D.C., chapter confronted Nielsen while she dined at a Mexican restaurant over the summer, chanting the words "shame" and “end Texas concentration camps." DHS in response said Nielsen shared "concern" over border immigration laws with the demonstrators.